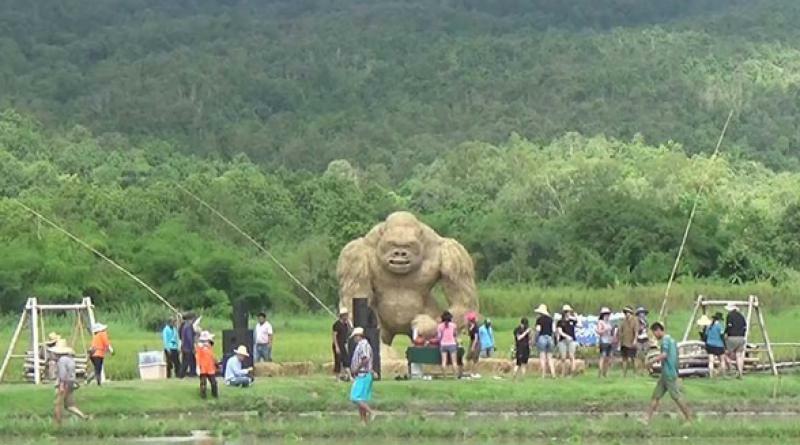 A RICE straw King Kong watched on as a group of around 30 tourists from various countries participated in planting paddy at an 8-rai demonstration plot of His Late Majesty King Rama 9 surrounding Huay Tung Tao Reservoir in Mae Rim District of northern Chiang Mai province recently, Sanook.com reported. 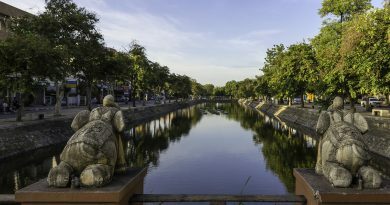 Some of them slipped and fell as they tried out the arduous farm work but merrily continued to get a feel of Thai farmers’ lifestyle and the very rural smell of paddy fields, mud and buffaloes. 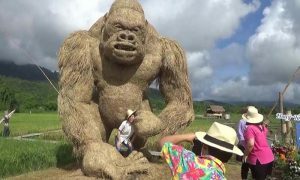 The tourists were of course amazed by the straw King Kong statue, which is 4 meters high and made of 2 tons of straw. For them it is an exciting new spot for selfies. 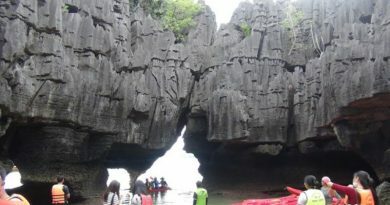 Col Supakorn Rueansati, tourism promotion manager at this park, said the straw statue was built to reflect the rich and healthy state of Doi Suthep forest, and this is first time it has been opened for public viewing after being built by Rajamangala University of Technology Isan students who took 6 days to do so. 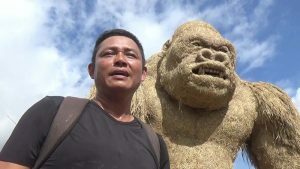 Being held during December 2-8, 2018 is a competition to create sculptures out of rice straw with the prize being hundreds of thousands of baht, he added.